4. 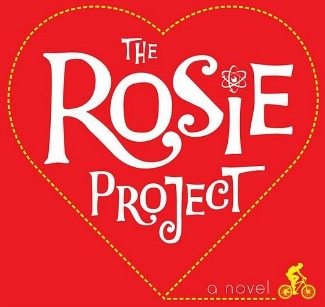 Once I started reading The Rosie Project by Australian writer Graeme Simsion, I couldn’t put it down. It’s about an extremely intelligent but socially challenged professor of genetics who decides it’s time to find himself a wife. The results of his “Wife Project” aren’t what he expects, though. It made me laugh out loud — and reach for the Kleenex a few times. 7. 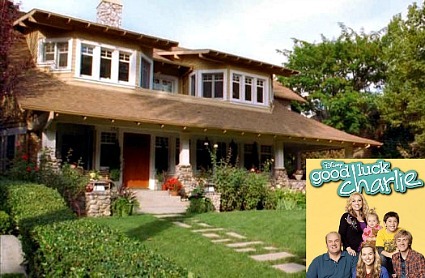 I think my daughter and I have watched just about every episode of the Disney Channel’s sitcom Good Luck Charlie together over the years. She asked me to write about the house they live in a couple years ago, and it remains one of the most popular ones on my blog (so we’re not the only ones who love it!). I’m sad that we’ll be saying goodbye to the Duncan family this weekend. 8. I keep finding new uses for this wood tray I found on clearance at Target. This week I put three little white planters from IKEA in it and made a simple dining room centerpiece. I have another one in my family room with old books and candles in it. 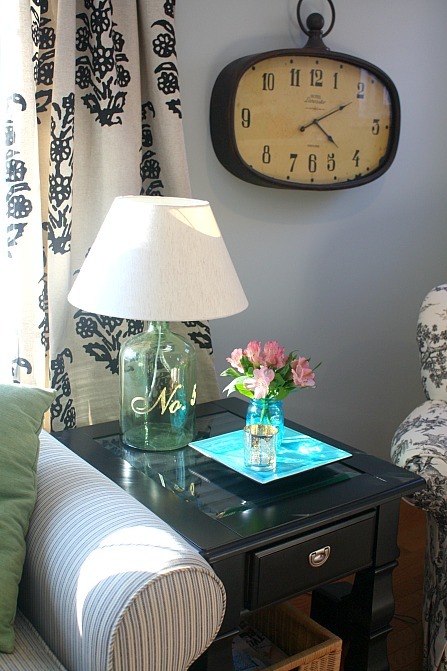 I love how easy it is to decorate with trays. What’s getting you through this long, cold winter? What are you loving right now? I had no idea they remade North and South. I loved that miniseries. Gotta watch it! This might be the same miniseries you saw. It came out in 2004. I’m watching it again now and enjoying it just as much the second time around! This is obviously not the miniseries on the American Civil War based on John Jakes’ novels. The English one you mention hasn’t crossed my radar, surprisingly. As an Anglophile and lover of BBC productions, I’ll have to put this on my Netflix queue (such a British word!). Thanks for the tip. The Rosie Project is one of my favorite books!! Your flowers look wonderful – I need to get some before tomorrow’s snow . Same for those chocolates :). Great post. Isn’t that a great book? I got it on CD for my husband to listen to on his way to and from work each day and he’d come in the door laughing from listening to it and say, “Can you believe that scene where Don did this or that?” They’re making a movie out of it now and I can’t wait to see it! I loved that book too! It was the first book I read of the year, and a very quick one to get through. The author was a screen-writer, so I think it definitely lends itself to that movie-feel – not a lot of fluff, so every page counts! Fresh flowers are such a boost for this time of year! Yours look great. I am an adult woman with no children, yet I watch Good Luck Charlie regularly. Sometimes (many times) I’d just like to watch a show that doesn’t feel compelled to include murder or raunchy behavior. No, I’m not a prude. But I am attracted to this uplifting, clean, family-type show. I am sad that it’s ending. It really is a fun (and funny) show. We’ve been watching the actors’ favorite episodes all week and it’s amazing how much those kids have grown since the show started! 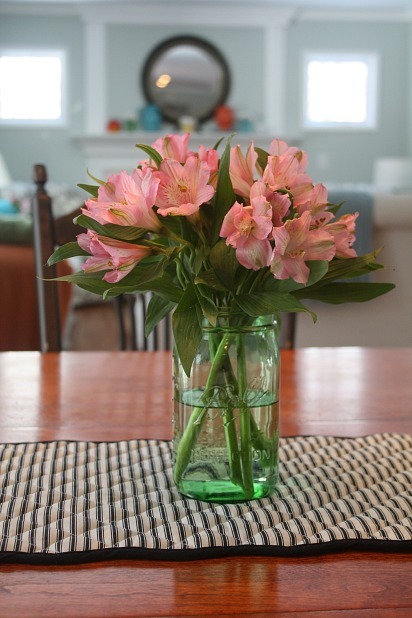 Love your pink flowers around the house. What a great idea. North and South sounds right up my alley! Hi Julia, We live in Buffalo, and so far we have about 95 inches of snow this season (our total for the entire winter is usually about 90), so looks like we will probably break 100! Unlike the rest of the country, we just go about our business, used to it I guess. I have been reading alot, and have been using the Public Library this year (New Year’s Resolution). Have discovered Nell’s Hills and Mary Carol Garrity’s decorating books. What fun to look at. Also eating my share of chocolate and buying fresh flowers! Happy Valentines Day. 95 inches of snow? Holy cow! And I thought we’d had a lot this year. I’ve been reading more, too, this winter. I love my public library! I just got a big stack of new books to read this weekend since it looks like we might be snowed in again. My wife first saw North & South around 4 years ago and promptly bought the DVD set. She watches it just about once a month. It’s a good story, and I don’t mind admitting that I like supposed ‘chick flicks’. Funny you should mention winter blues and Ghirardelli: Last week we had an ice storm that caused a tree to come down on our power line. Rural living means well water, so no electricity also means no water. 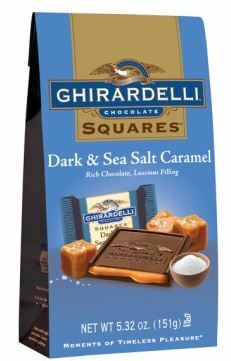 With no electricity, no heat and no water for four days, we had to stay in a hotel, and to help lighten the mood, I bought us that exact same Chocolate with Sea Salt Caramel Ghirardelli (along with another bag in Dark Chocolate). Between all of us, they didn’t last long. I loved the Rosie Project also, Julia. Thanks for the BBC/Netflix tip. I missed that show so will now stream it. We are snowed in here…four more weeks of winter?? If you’ve got to be snowed in, at least there’s Netflix, right? Stay warm, Brenda! This post was really sweet, I enjoyed it, as I do almost all of your blogs. We are adjusting to this blizzard weather after having been in Key Largo for 3 months, and its a challenge! I’ve been really enjoying Downton Abbey, redecorating and cleaning out (amazing how much stuff we keep accumulating). I am thinking about making a Facebook page where I can sell some things I have purchased and regret. Its amazing how we leave home with a toothbrush, some shorts and bathing suits and live just fine without all our “stuff”. Seems like a good time to sort through and pare down. p.s. I saw those Sea Salt Caramel chocolates and wanted so badly to try them, but have resisted! Key Largo sounds awfully good right now. We’re heading to St. Pete’s in a couple weeks for our nephew’s wedding and I can hardly wait to escape the snow for a few days. 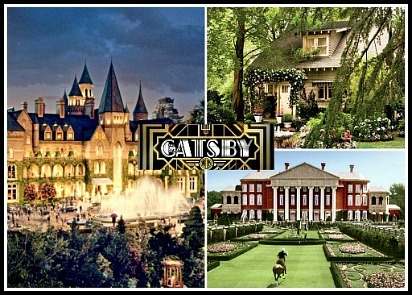 I’ve been watching “Downton,” too. Love that show! Have to check out The Rosie Project as I think this is the 10th recommendation I’ve heard/read about it. Ooh, I’ll check those out if I have time. Thanks, Brandy! Sadly, the Pier is no longer–and was never pink. Enjoy your trip (and the wedding!). Thanks, Brandy! You’re always so helpful. A packet of Starbucks salted caramel hot chocolate mixed with hot milk, topped with a smidge of whipped cream and a sprinkle of cinnamon. Making me so terribly happy this long, cold winter! Oh, my goodness, that sounds YUM. I think I need some now! My eight year old daughter and I love Good Luck Charlie too. So sad that it’s ending. I’ve always thought they had the coolest house. My daughter loves Teddy’s room the best. I love the lamp in the first photo! It’s been over 80 degrees where I live. Can anyone send the snow/rain our way? I’m going to have to rip out my lawn before summer, I’m sure. Thanks Julia for this fun list of your favorite things! I’m w/ Carolyn; I was not aware of the BBC North and South production- can’t wait to see it. And by the way, you look way too young to have a child in college! I’m a Green & Black’s Organic 85% Dark chocolate fan myself. Yummy. Also, I just made a mediterranean beef stew, with flourless chocolate cake (both taste better in the winter, I have to say) The cake’s from Molly Wizenberg’s ‘Orangette’ blog (and book). It is so easy to make and so delish!! Happy Valentine’s Day! OMG, I *adore* “North & South”! RICHARD ARMITAGE! It’s such an amazingly well crafted film, and I really think it’s so perfectly done because the movie was made by women. I’ve watched that film probably 8 or 9 times, and now that I know it’s streaming again on Netflix, I guess I know what I’ll be doing this weekend! If you like British period pieces, in particular Jane Austen, I’d also recommend a film called “Lost in Austen,” which is about a 21st century girl who gets trapped inside “Pride & Prejudice,” and her presence there throws a wrench in story. It’s awesome and everyone I tell about it ends up loving it. I love “Lost in Austen” — even bought it on DVD so I’d have my own copy. It’s fun to see the twists and turns they put on a familiar story. Thanks, Kimberly! A thousand yeses to North and South! I can’t believe they never aired it on PBS, Richard Armitage would be a bigger name if it had been. I have the same No. 5 lamp ! Love it!! Loved the miniseries North and South. I too am “hooked on houses” and love your blog. Plus we have the same name! I keep hearing awesome things about Rosie Project. Thanks for the book tip, always looking for good word of mouth on good reads. If you haven’t read A Week in Winter by Maeve Binchy, it is a quick, fun read. It is the last book she wrote before she died. I always mean to watch North and South maybe this will be the winter. I also live just outside of Buffalo and don’t imagine we will be seeing grass for another couple of months! Haha, that’s okay, always need to be grateful for every day! Dark chocolate salted caramels are a personal favorite! Great post, thank you! I haven’t read that book by Binchy. I usually like her novels and almost picked it up the other day but hadn’t heard anything about it yet. Sounds like I need to go back and get it — thanks! Darn it! Now I can’t stop thinking about those chocolates. I love salted caramel anything. At Christmas I love their peppermint bark, too. Fun post! Hurry up, Springtime..
Ooh, yes, that peppermint bark is awfully good, too! Happy Valentine’s Day to you, Julia! I absolutely love the pictures of your home. So beautiful! I am sorry that Jake, did not make it home. I know how that feels 🙁 Anyway, thanks for all your amazing posts. They always brighten my day! Thanks, Renita! He’ll be home for quarter break at the beginning of March, so I’ve got to wait a couple more weeks to see him now. I sure am missing that kid! My son and his wife left behind sunny & warm Las Vegas to visit Mom, Dad & younger brother. It has really been a boost in spite of this dark, dreary, depressing, & snowy winter… I’m really looking forward to some balmy temps and sunshine. Will probably have to leave Pittsburgh for that. Just read Pittsburgh is the 2nd most cloudy (dreary) city in the US, second only to Ankorage Alaska. Thanks for your amazing blog, it certainly is a bright spot. That’s so nice that you they braved the cold weather to visit you! I didn’t know Pittsburgh is the 2nd cloudiest city but my brother used to live there, and I believe it. Here’s hoping some sunnier days arrive for you soon. North and South is one of my favorite movies/miniseries! I’ve even read the book, and it was so good, too. 😉 Elizabeth Gaskell is a great author. Have you seen or read Wives and Daughters? Yes, “Wives and Daughters” is another good one! I downloaded the ebook of “North & South” last week but haven’t had a chance to read more than a few chapters yet. LOVE LOVE LOVE North & South and Richard Armitage. I try and watch it at least once a year. As a Downton fan, did you notice Mr. Bates in it? He plays Higgins! I love “North and South” and Richard Armitage as Mr. Thornton is second only to Colin Firth as Mr. Darcy. Ooh la la. i have always wondered if i can enter my home piks in your blogs, i and my mom did decorate our house these past two years and i would love to share them at your blog …. is there any scope ??? Have you seen Cranford and Return to Cranford with Judy Dench – another based on an Elizbeth Gaskell book . So sweet and kind. Those are two that have been in my Netflix queue but I still haven’t seen them. I need to move them up closer to the top of the list! OMG! Please do tell! Where did you get the #5 lamp in the first pic, or how did you make it? Also, what’s the scoop on the blue buffet/cabinet in the pic w the wooden tray?